Classic, Hybrid and Volume Eyelash Extensions. What’s the difference? This is the most common question I get asked when explaining the different options to lash newbies have. There’s quite a significant difference between the look of the three and also pricing. I am here to help explain the differences and which option may be most suitable to you, if you are considering tying out eyelash extensions for the first time. Let’s start of with the timeless classic eyelash extensions. This is when one semi permanent eyelash is applied to nearly every one of your natural eyelashes. Generally not every natural eyelash can be lashed. Some people may have baby, very thin new lashes coming through, or perhaps they have damaged lashes, which are best left untouched. I normally recommend those new to eyelash extensions who are a bit nervous and are unsure where to begin, to start off with classics. A lash technician can create various looks with the classic technique, from very a natural set to long glamorous lashes. Because it is one to one lash, you will never be able to get a very fluffy set, unless you are blessed to have a larger quantity of natural lashes to work with. Classic eyelash extensions can also be applied in various diameters (.10mm -.25mm). As an experienced technician I will assess every single client’s eyes and lashes and customise a specific look that will look amazing but also not compromise the health of the natural lashes. NOTE: If you have thin, frail lashes you will not be able to get thick long lashes applied. Your natural lashes may get damaged by the weight of heavy thick and long lashes, and you could be left with even fewer lashes than you started with. Some clients come back for their refills after their first time and will request a more full fluffy look. This is when I recommend going up to Hybrid lashes as this might be the best option for them. As you’ve already guessed, Hybrid eyelash extensions give a fuller look. This technique combines classic and volume (2D-8D fans) application, generally 50/50, but it’s a hybrid so really the technician can create a tailored look to suit the individual client. At Bayside Beauty I work with 4-6D volume fans. This mean there will be 4-6 extensions together making a volume fan on 1 natural eyelash. This look has become the most sought out look with my clients as it’s right bang in the mid volume range. Not too light and not too heavy. JUST RIGHT! “I want MORE! Give me more volume!” This is a phrase I will sometimes get with some of my lash obsessed client. This is where the Russian Volume sets are recommended. I’ll tell you something. Once you start getting lashes… there’s no way you will be able to live without them! Some people like a natural look, and others like a glamorous FULL look. Everyone is different and have different tastes. The full look can be desired by those who have few lashes and need a full set of Russian Volumes to appear like an average set of eyelashes. There are also those who love the wow glamorous full look. If applied correctly by trained and experienced technician these look exquisite! 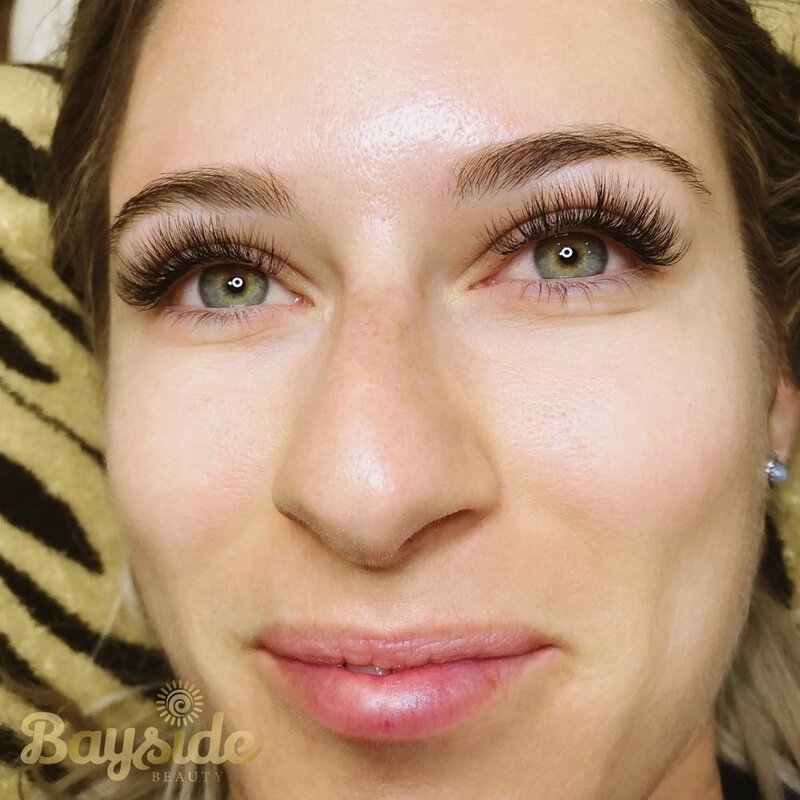 At Bayside Beauty all 3 eyelash extensions options are available. If you would like more information or would like to have a consultation to discuss which options would be best for you, I would be more than happy to sit with you or talk over the phone to discuss further. Have a lovely Day Lash Angels! With the weather warming up and needing to take your shorts and singles out, it’s the best time of the year to look and feel your best. Here are my top 5 tips to getting the most out of spring and reviving your zest for life! 1. Get out and get moving! Spring is the time to get back into the routine of regular exercise. Creating routines around things that interest you. It could be swimming, hiking, jogging, or just the gym are things that will not only have you feeling confident come summer, but have you looking amazing too. 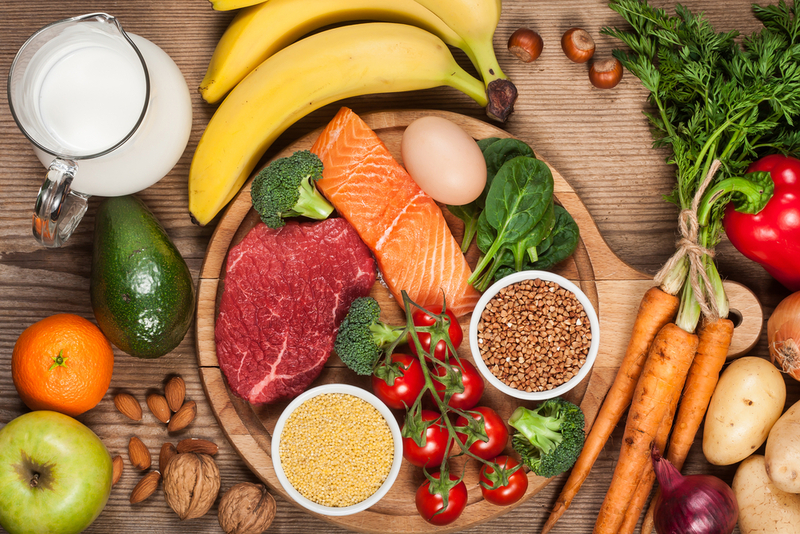 After spending the winter carb loading off delicious comfort foods, there are more than likely a couple extra kilos most people need to get rid of. 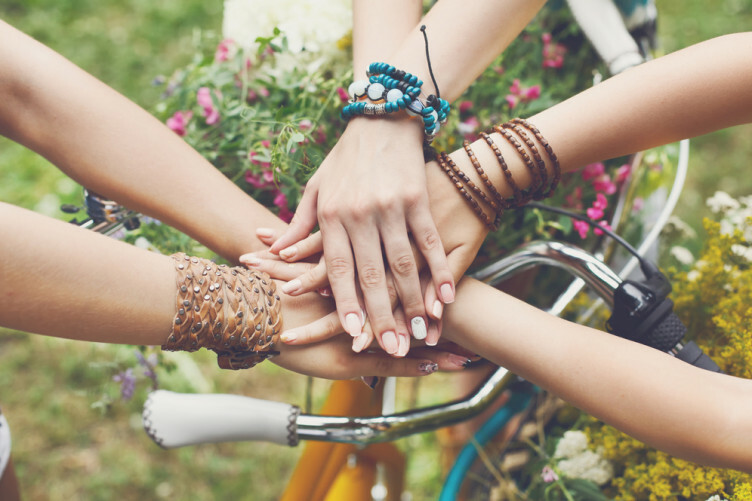 Getting a group of friends together for walks, biking or just throwing a ball in a park motivates the health kick that so many of us need come spring. Making exercise fun is the key! Always do the things you like rather than the things you think you should like. There is more chance that you will commit to the things you find fun and keep at it. Less room giving up and being disappointed if you’re engage yourself with activities that you genuinely enjoy doing. Relaxing can be various things, depending on the individual. For me relaxing is being outdoors in the sun with a picnic and enjoying my surroundings. For others it can be lounging on their sofa reading a book or watching their favourite movie or TV show. You need to stop and think what makes you feel most at ease and treat yourself to this feeling once a week. Make this relax time a part of your weekly routine. And what about the pampering? What makes you feel good? It could be a Spray tan, having your lashes and brows done or even just a massage. It doesn’t have to be something you spend money on. Run a bubble bath or put on a mask. Whatever it may be, treat yourself and don’t feel guilty about it. At Bayside Beauty I can help you with the pampering side of things. I love nothing more than to make my clients feel amazing and confident. Come and see me for any of the following beauty services: Eyelash extensions; Eyelash tinting; Eyebrow tinting; Facial Waxing and Spray Tanning. Turning to comfort food is definitely high on everyone’s habits throughout winter. After a long winter of overeating you will be feeling sloppy and under the weather. While it’s okay to treat yourself, it’s also important to ensure your diet is filled with foods that make you feel good even after eating them. A balanced diet is necessary to live a happy healthy life. Consuming lots of fruits and vegetables will assist in lifting your mood and bringing a bounce back in your step. Some research suggests that foods rich in omega-3 fatty acids, such as fish and eggs, may also help to boost your mood. Do some reading and find out how you can improve your diet. Try think about these everyday. Put them into practice as much as you can and you will feel like you’re living and being your best self. Eyebrow and eyelash tinting temporarily dyes the hair to the chosen colour. This is done to achieve the look of wearing mascara or fuller brows without having to apply makeup daily, or if you’re wanting to achieve a lighter look to match your recently dyed lighter head hair; this too is done. The dye used to colour the lashes and brows, is usually a vegetable-based dye. This is to minimize the irritation around the sensitive eye area. Though if you’re going lighter, then obviously it’s a peroxide based tint. Who can and should get this done? Tinting generally will help customers with naturally light coloured brows and lashes gain a darker and more noticeable brow and lash line. If you are a person with barely there brows and lashes, eyebrow and eyelash tinting would be the perfect solution to accentuate your eyes beautifully. At Bayside Beauty, I will help you choose a suitable colour from a range of tints for brows and lashes. When dyeing the lashes, the entire lash tinting process takes approximately ten to fifteen minutes. Firstly, pads are placed around the eyelids to prevent the dye from colouring the skin and protecting the eye itself. Secondly, the dye is applied carefully to the upper and lower lashes. The dye must then set for at least five minutes to penetrate the lashes. lastly, the dye is cleansed away and the lashes are left the desired colour of choice. When dyeing the brows, the entire brow tinting process takes about 10 minutes. It’s quicker then the eyelash tint as there is no fluffing around with the pads. The dye is applied carefully so not to get on the skin. The dye is left to set. This can vary between 2-5 minutes. If you have very light lashes brows and you want them very dark you will need to have the dye on longer. 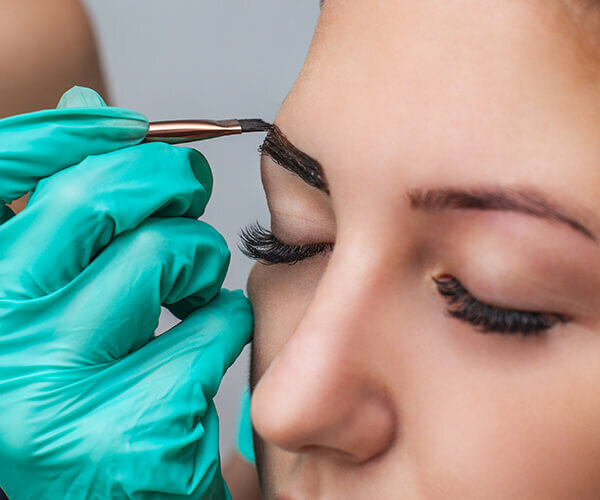 Women who regularly get their eyebrows and eyelashes tinted enjoy a number of benefits. If your brows and lashes are naturally blond, getting them dyed will create a much more dramatic look for your eyes. The hassle of mascara and penciling in your brows during your morning routine will be obsolete. The best part is the benefit is around the clock and will last up to 5 weeks. You’ll even save time when removing your makeup at the end of the day. Lash tinting is a great option for women who have busy or active lifestyles. If you spend a lot of time swimming, playing sports or chasing your kids around, it's likely that you do not often wear mascara. Brow and lash tinting will give you a more finished look that is also no-maintenance. WIN WIN! Should you have any questions or concerns, I will be more than happy to have a consultation with you to alleviate any worries you may have. We look forward to seeing you to make you feel and look gorgeous! Truth of the matter is most people feel better when they have a bit of colour. I particularly love summer because I get that little more sunlight than usual. With a spray tan on top, I feel AMAZING! I bet you didn't think a spray tan could have too many benefits other than looking GREAT!. There are a few other benefits to getting a professional spray tan with me than you might not have considered. Have a read! 1. CONFIDENCE. We all have areas of our bodies we don't particularly love, but with a spray tan you can instantly feel more confident and those make those little insecurities seem like nothing. 2. SLIMMER AND MORE TONED. Almost 2/3 of people said they not only felt slimmer with a spray tam but more toned. Spray tan can be applied with certain technique, which is almost like contouring of the body to enhance the appearance of muscle tone. 3. MINIMISES SCARS AND OR PIGMENTATION. A good spray tan can help reduce the sign of pigmentation and disguise scars. If you are self conscious about other imperfections such as stretch marks and or blemishes, spray tanning can conceal these. 4. HEALTHY SKIN. 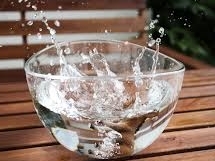 Our bodies are mainly made of water, therefore we all need to keep hydrated to fuel our bodies. A hydrating spray tan will leave your skin not only looking great but feeling healthier too. 5. SUN SAFE . It has been proved that there are harmful UVA and UVB rays from tanning beds and that the sun can cause premature ageing, and cancer. A professional spray tan with me will give you the golden glow that will leave your skin looking radiant without harming any part of you. Guilt free beauty is the way to go! 6. EASY PREPARATION. All you need to do do is exfoliate and remove all the dead skin cells. After doing so, your skin instantly is healthier and and looks brighter. This creates the perfect blank canvas for your spray tan to be applied. So are you feeling low? Needing a pick me up? Book yourself a spray tan to look and feel amazing! Till Next time! Stay gorgeous! Life can get pretty busy and stressful this day and age for most people. For me, well I am foremost a busy mum to two children under 4. Raising children is a tough gig and when you add running a small beauty business on the side, well life can be pretty overwhelming. Like most mums out the there, I don't come first. If I get time, I will do something for myself. I don't often have time to relax, unwind and yet alone pamper myself. My husband and kids were so sweet for mothers day and I got given a pamper voucher. Choose where and what you want done read my card! WOW! Best present ever right? For me it certainly was! I found out about this gorgeous spa in Wilston (La Spa Parisien) a few weeks back when I met the owner, Shelly at a Sister Stepping out networking event. I took one glance at the packages they had to offer and I instantly knew where I wanted to get pampered. La Spa Parisien it was! It took me a while to find some free time in between work and kids but I got there. When you step inside La Spa Parisien you notice it's classical lines, and opulent French inspired glamour, and a space where relaxation is part of the thought process in every step. 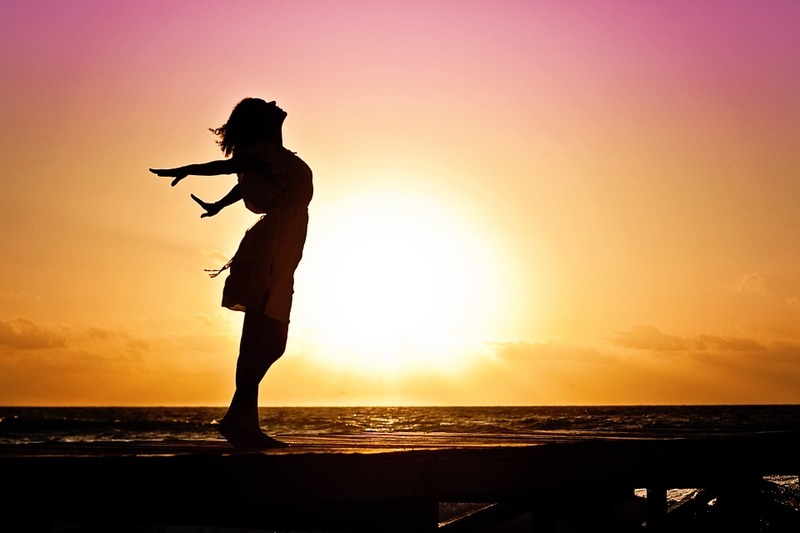 When I asked Shelly a little about the treatments they offer, she explained that "they are designed to help you achieve inner and outer beauty, with luxury embraced and the principles of Beauty French Training Techniques, deep breathing and calming techniques using sound vibrations, all help you to escape the noise of the outside world and achieve a higher level of relaxation". Sounds glamorous right?! So what makes La Spa Parisien stand out from the rest? Shelly and I got to talking as it was obvious we both like a little chat and for Shelly it all started 25yrs ago when she realized we had lost sight of what Beauty Salons where all about, treating ourselves to a little bit of luxury! Its not about being fast and out the door as quick as possible and only JUST getting what we paid for , it had her asking where has all the customer service gone and all those little extras ? 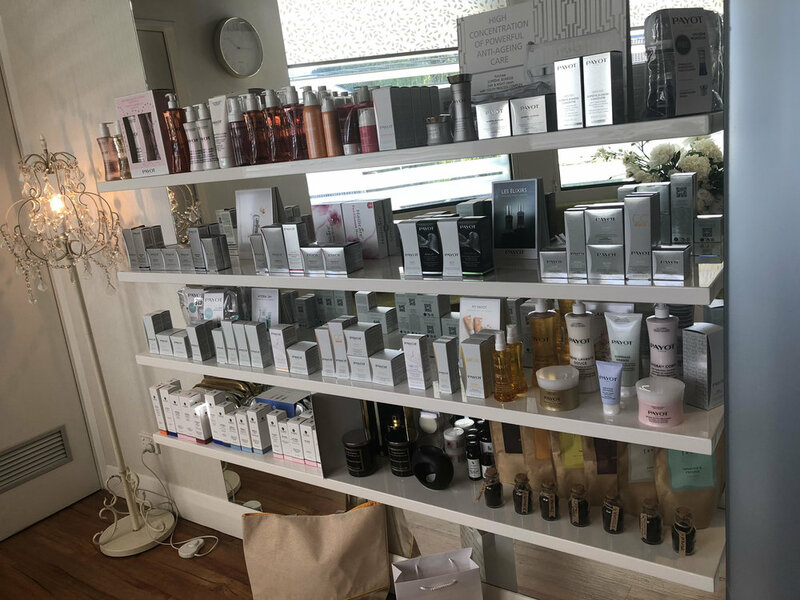 Shelley's ethos has always been to exceed her clients expectation and admits she gets a little thrill when her clients get surprised at all the little extras even for the smallest treatment , and so La Spa Parisien was born , a Luxury French Beauty Spa! After much deliberation on what treatment I was going to get, i decided on a 40 minute relaxation massage and the 'Enveloppment de cocon' - Cocoon Wrap. Boy, was I in for a treat! A 3 hour treat in fact! My experience of pure relaxation started and I was escorted to the relaxation room where I was given some gorgeous floral tea to sip on while I filled out the client form. I was then given the option of a white or back deluxe robe and some slippers. I choose the black robe... how very Hugh Hefner of me! I seriously was already feeling more relaxed just wearing the robe. I was excited of all the pampering that was awaiting me! Shelly suggested we begin with the relaxation massage and we went into the massage room. This is one out of the 5 rooms she has in her spa. The room itself is lit perfectly. There's a gorgeous scent of candles burning and zen music playing in the room that really top off the massage experience. Now I've had my fair share of massages done over the years and I more often than not will end up pulling something or just be bruised and sore for days. I have had a bit of nerve damage to my right shoulder which I informed Shelly of, and she made sure she gave that shoulder a little extra love. I was on cloud nine when I realised that this massage included a scalp massage too! OMG, now if you've never had your scalped massaged, you haven't lived. Effeminately my highlight of the massage! All my knots from everyday stresses slowly dissolved and I found myself almost falling asleep with the soft yet firm massage Shelly gave me. It was just what I needed! To think I had more pampering left, made me even more excited of what was to come. The cocoon wrap treatment is a 8 step process. 1. We began with the facial preparation. 2. Dry body brush. 3. Body milk and exfoliation. 4. Detox and tone wrap. 5. Hair/scalp elixir massage. 6. Cooling globe facial elixir massage. 7. Vichy shower. 8. Hydration. What happens in each process? Have a read below in more detail. Facial Preparation - this a is face preparation specifically designed by me to allow you skin to feel just as beautiful as the rest of the body, it also allows your skin to remain hydrated throughout the body warp. You do 4 deep breaths to inhale the charka balancing mist. Dry Body Brushing - this creates stimulation and starts the removal of dead skin cells. 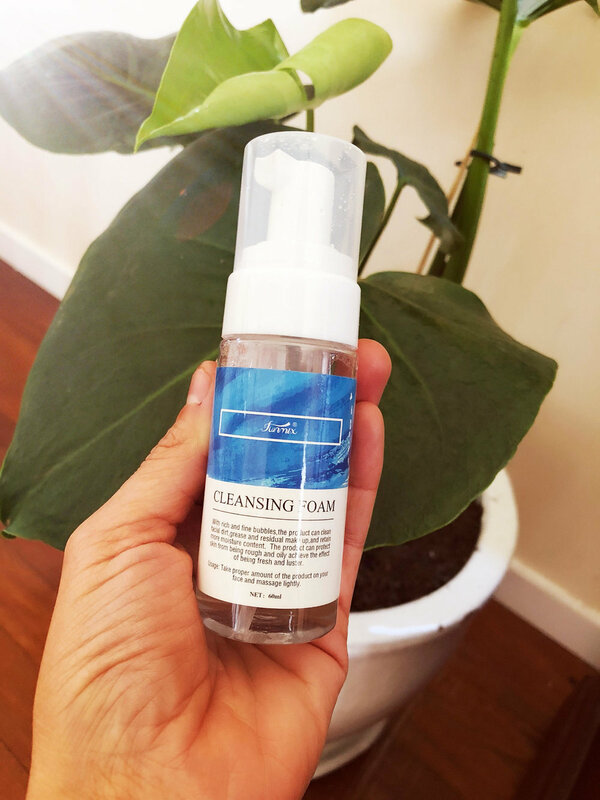 Warm Oil Emulsion - This is a specially designed product that is warmed and drizzled over the body before the exfoliation this creates hydration to the skin and slip for the body scrub. body Scrub - creamy body scrub containing ingredients such as French salt, brown sugar, honey just to name a few. Luxurious creamy body scrub removing dead skin and hydrating the skin , this is left on as the sugar dissolves and the hydration gives and extra layer for the wrap. cocoon wrap - is applied this is a creamy, velvety nourishing wrap , which conations pink French clay , argon butter just to name a few. Nice thick layer is applied and left to absorbed for 20 minutes . The body is wrapped up in cotton to retain the body heat but not to cause sweating. while this is on a facial and scalp massage is completed with specific movements to calm the mind , face and hair elixirs are used and the beautiful cooling globes which creates creates a refreshing feeling to the skin. Vichy Shower - this is completed by warm water raining down on the body to completely relax the body, we 10 minutes on the front and 10 mins on the back and we take the opportunity to complete soothing body massage movements to remove the body warp while the Vichy shower is on. Hydration - we finish with body butter all over to keep the hydration levels up in the skin. We finally finish with our gentle wake up and blessing this is our unique way of being you back to the real world. Gentle wake up is specific facial movements to balance the mind and to create clarity and our blessing is our vibrational sound that signifies the end of the treatment and blesses you with positivity. Cleansing tea - beautiful organic tea to sip on while you get dressed and return back to the real world. I absolutely loved the Vichy shower! this was probably my favourite part of the Cocoon. I love my showers and to be able to lay down and get a shower....HEAVEN! I felt very warm, relaxed and at peace under all the blankets and towels that I was wrapped in while I layed soaking in my cocoon wrap. Shelly mentioned that La Spa Parisien make their own French Clay too. They source their ingredients from all around the world and know that there are no nasties in them. I left feeling a new woman. Sometimes a girl just needs a little glamour in her life. I left floating La Spa Parisien. I highly recommend you get a treatment. I look forward to going back soon for another one soon. Check out their details below! Why do I need lash infills? Over the last few years eyelash extensions have become a big trend for many women around the world. Why wouldn’t it; when it means you can wake up looking fabulash and also reduce time spent on getting ready. The eyes the entry to the soul they say, so why not have them looking their best. But eyelashes are not just there for the purpose of enhancing your beauty. They play a very important role. Protection. Eyelashes activate the blink response so that dust, dirt, debris and other foreign objects don’t get into our eyes. The upper eyelid can have anywhere between 90 to 150 lashes, while the lower eyelid has about 70 to 80. Each individual eyelash is programmed to reach a certain length (10mm on average), fall out, and then re-grow. For this reason is why you need to visit your lash technician every 2-3 weeks for infills. 1. Anagen (the growth phase): The first stage of the eyelash cycle lasts between 30 and 45 days. Approximately 40 percent of our upper lashes and 15 percent of our lower lashes are in the anagen stage at any given time. 2. Catagen (the transition phase): Once the lashes in the anagen phase reach their designated length, they stop growing and the hair follicle shrinks. Should an eyelash fall out during the catagen phase, it won’t begin growing back until the catagen phase has run its course, typically within two to three weeks. Telogen (the resting phase): The telogen phase is a hundred day resting cycle before the eyelash falls out and a new lash blooms to take its place. Since our lashes are in different phases of the growth cycle, it’s natural for a few to fall out each day, so blow on that lash and make a wish! Till next time! Stay gorgeous and live beautifully! I’m guessing you’ve heard all the hype on eyelash extensions and are wanting to jump on the band wagon. I’m here to educate and help you make the best choice for you and your natural eyelashes. There are various different types of extensions you can get and each comes with their unique pros and cons. What was good on your girlfriend may not be suitable for you. So have a read, and discover what type of extensions would be most suitable for you. What exactly are eyelash extensions? Eyelash extensions are semi-permanent eyelashes that are applied to almost all your natural eyelashes to create a specific desired look. Generally not every natural eyelash can be lashed. Some people may have very small and thin new lashes coming through, or perhaps they have damaged lashes, which are best left untouched. eyelash extensions can be applied to create a natural look, or a very glamorous wow look that will make you feel like a superstar. There are also various types of eyelash extensions that can be applied. The most common and desired are silk, mink or synthetic eyelashes. It all depends on your preference. At Bayside Beauty we currently do silk, faux mink and synthetic. We are happy to say that we do not support animal cruelty. Silk is the new black! Let’s talk Silk eyelash extensions first as these are my favourite! These are the mid-weight type of lash extensions and are more flexible than the synthetic type. Because they are softer and more porous, they tend to work best and hold on slightly longer than other extensions. Silk extensions are usually applied to give a very natural look as they don’t have a glossy shiny look like synthetic extensions can have. Because they are lighter weight, they are often a much better option if your own lashes are weak or fine. Silk extensions tend to be thicker at the bottom and thinner toward the ends, helping to create a fuller looking lash line. This would be perfect if you have sparsed lashes. They come in a variety of curls and lengths, though are a better option for a more natural look, as the curl is not generally as uniform as synthetic lashes. With silks, the prices is mid-range. You can pay anywhere between $85-$200 a set. It all depends on the country, salon and experience of the lash technician. Showstopping Synthetics! Synthetics are the craze now. They are made from a polished, acrylic material and are the firmest of all extensions available. In appearance, they are a little glossier and can be applied to give the most dramatic look. They will turn heads and you will probably have people asking about them and telling you how great they look. Yes, they will look the least natural but when they look that amazing, WHO CARES?! These are also very popular for a one-off application for a special occasion where you want to look gorgeous. Another advantage with having synthetic lashes is that they hold their curl extremely well due to their firmness. They have the easiest upkeep when comparing them to the other options. As for price-range, they can be anywhere between $50-$150. What the Mink?! Let’s say you’re wanting the most natural looking lash extensions possible. Let’s say you have no qualms with animal cruelty. Then Mink eyelash extensions would be your choice. The benefits of extensions made from mink hair is that they have a natural quality to them that you cannot get from any other man made extension material. Real Mink lashes come from the Siberian or Chinese Mink’s tail. With Mink extensions, you'll get a very light, fluffy, soft natural look. Real mink lashes usually last longer because they are so light in weight and mimic the natural lashes the most. There are a couple downfalls to Mink lashes though. Ranging from $200-$500 per set, which not many people can afford it makes them the most expensive type of eyelash extension you can get. Their upkeep is not the easiest either. Because they are real hair, they will not keep their curl once you get them wet. They tend to droop after getting wet, so you’d need to invest in a heat curler and be prepared to curl and style them on a daily to keep them looking their best. Lastly, should you suffer from allergies to animal hair, these would be a no go as you would not want to pay a large amount for them to have them removed due to an allergic reaction to the mink hair. To Faux or not to Faux? Faux-mink lashes are man-made fibres, designed to imitate real mink fur. They are very fine, soft and smooth, just like real fur. However, they have been improved, in that if you wet them, they won’t lose their curl. When wet, real mink fur lashes become straight and wispy. Faux mink extensions are also shinier in texture, which gives the lashes a glossy look. They are long lasting if they are cared for correctly. Because they are so light, they don’t tend to drop or twist, even after many weeks of wear. Fuax mink lashes are quite affordable too. They can range from $100-$180. Is Sable fur your only hope? Going back to animal fur, let’s take a look at the Sable lash extensions. Just in case you have no clue as to what a sable is; they’re little adorable forest-dwelling animals native to Siberia and Russia. Turns out that just like the Mink, they too have sought out soft brown or black fur. So why would you choose sable extensions? If you naturally have very thin, weak lashes then the sable extensions would be the best for you. They are the most light weight out of all the available extensions out there. This may be your only hope if you have been plagued with flimsy thin natural lashes. If this is you and are interested in sable extensions, be prepared to pay anywhere between $300-$500. Like the Mink extensions they are highly expensive. They’re not very popular amongst lash technicians so they are also harder to get. You may need to ask around a bit to find someone or somewhere that does them. So now you know all the different types of eyelash extensions you can possibly get. I hope from this you can choose which type of extensions would suit you and your lifestyle the most. Your next question may be how long will this take? In terms of the application of your eyelash extensions; it can take anywhere between 1 to 2 hours. The more eyelashes you have to work with the longer it will take to apply a full set. Although this may seem like a long process, rest assured that at Bayside Beauty the time will fly by! You spend the whole appointment eyes closed on a beauty bed, relaxing and listening to soft tunes. With the delicious candle burning in the background you will be wanting to take a lash nap! The atmosphere is peaceful, and I will always ensure you are comfortable and in no discomfort. I hope you are more educated on eyelash extensions and I hope I can help you begin your eyelash extension journey!